An act of terrorism heavy on symbolism ignites Israeli retaliation against Gaza while Netanyahu faces corruption charges. 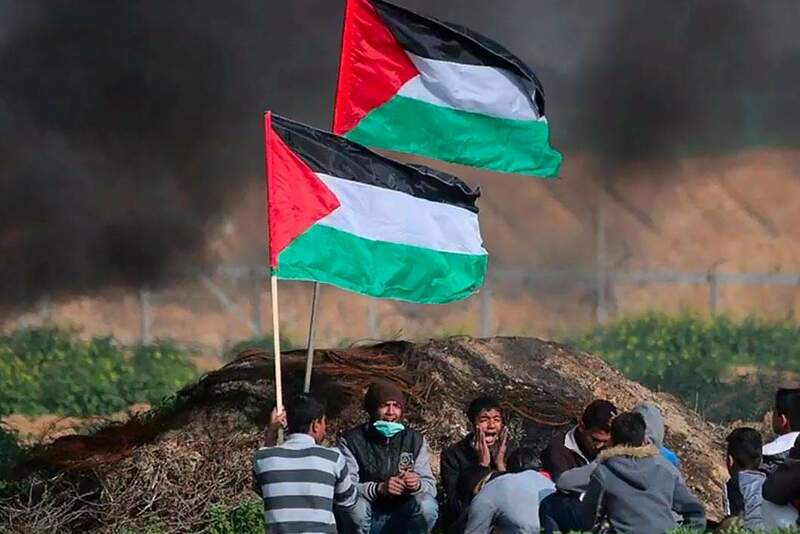 Four Israeli soldiers were wounded Saturday while attempting to remove a Palestinian flag from the Gaza border that had an explosive device secured to it. The bomb blast wounded two of the soldiers severely and triggered a rapid Israeli response with tank fire on a Palestinian observation post near the explosion, several waves of airstrikes, and a military raid into Gaza. After the first airstrikes targeting Hamas targets, terrorists retaliated with a barrage of rockets fired from Gaza. In turn, Israel released a second wave of airstrikes and more tank fire. Israel reports that eighteen targets, including a weapons plant, training camps, and a tunnel, were destroyed. Preliminary death tolls count two Palestinian teenagers killed in the Israeli tank fire. This exchange was the bloodiest and most severe military engagement since the summer of 2014’s seven-week war in Gaza. Also in the security news this week, a statement cleared for publication on Sunday reports that a plot to assassinate Defense Minister Avigdor Liberman was thwarted by Israel’s Shin Bet security agency. The Jerusalem Post reports that an Islamic Jihad (PIJ) terror cell was planning to place a bomb on a West Bank road on which Liberman’s convoy was scheduled travel. This is not the first assassination attempt on Liberman that has been thwarted. During Operation Protective Edge, a cell was broken up that planned on striking his convoy with shoulder fired rockets. 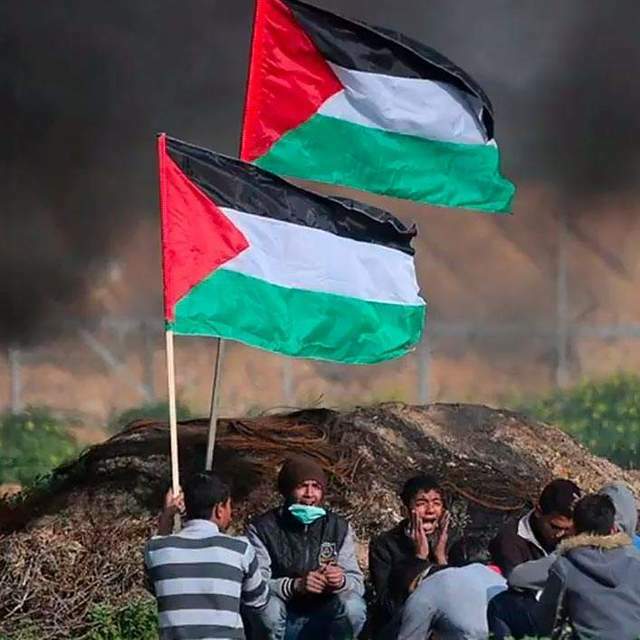 Regarding the weekend’s escalation in Gaza, Liberman took an aggressive stance saying that Israel would hunt down everyone involved in the flag bombing. After a controversial law introduced in Poland criminalized referring to Polish collaboration in the Holocaust, Israeli, Jewish, and Polish public figures and politicians at the highest levels have been exchanging verbal blows. Last week the Prime Minister of Poland Mateusz Morawiecki insinuated that there were both Polish and Jewish perpetrators of the Holocaust. German news source, Deutsche Welle, reports that Morawiecki was responding to a question from an Israeli journalist who asked whether Poland would consider him a criminal after he reported that Polish neighbors had betrayed his Jewish family to the Gestapo during World War II. "Of course it would not be punishable or criminal if you say there were Polish perpetrators, just like there were Jewish perpetrators, like there were Russian perpetrators, like there were Ukrainians, not just German perpetrators," Morawiecki replied. His reference to “Jewish perpetrators” unleashed a firestorm of criticism, some calling his rhetoric no different than that of a Holocaust denier. He attempted to clarify that the law about which he was being questioned was passed to make clear "there were no Polish death camps... There were German Nazi death camps … But we cannot agree with mixing perpetrators with victims, because it would be first of all an offense to all the Jews and all the Poles who suffered greatly during World War II." Netanyahu called the “Jewish perpetrator” comment outrageous. Yair Lapid, a member of Israel’s Knesset (Parliament) called for Poland to recall their ambassador to Israel on Twitter. Given Poland’s stubborn stance, an official apology over the remark is unlikely. This spat also displays what is at stake politically when dealing with issues of Holocaust remembrance for other European countries in the future. After a long investigation, Israeli police recommended that Prime Minister Benjamin Netanyahu be indicted on several corruption charges including links to $300,000 in bribes, but Netanyahu has said he won’t quit. Netanyahu has made it clear, despite the corruption findings, that he not only believes that he can avoid imprisonment, but can also retain power and avoid an early election. Corruption in Israeli politics is not a new phenomenon. Netanyahu’s rise to power, in fact, came on the heels of the corruption downfall of former Prime Minister Ehud Olmert who faced indictment for taking tens of thousands of dollars in bribes. The difference is that Olmert was not popular. Netanyahu is, and he has a tighter grip on his power. He has worked to snub the judiciary, decry negative press as a left-wing political tool while also seeking to discredit the police investigation into him. After reading a summary of the evidence against him, Netanyahu said “I can say this is a slanted document, extreme, full of holes, like Swiss cheese, and holds no water,” according to a New York Times summary of the investigation. A summary of the charges include bribery, fraud, and breach of trust. He is said to have accepted nearly $300,000 in gifts between 2007 and 2016 from two businessmen in exchange for advantageous political favors. The lengthy list also includes making deals with the publisher of Yediot Aharonot, one of Israel’s largest newspapers, in exchange for positive coverage. Now it is up to the attorney general to decide whether to indict Netanyahu, a process that could take months. Despite the charges, Netanyahu’s popularity is still high. Jerusalem Post reports that a poll shows that if he runs in the next election he will still have a strong shot at winning.